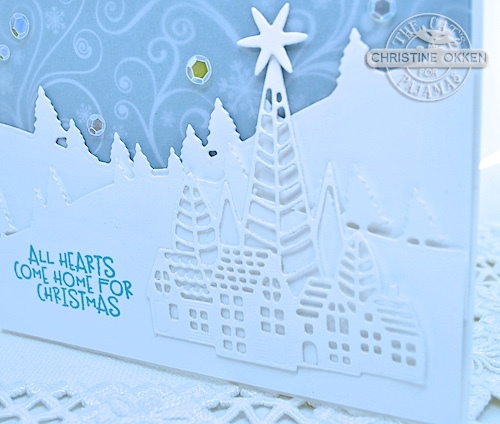 ChristineCreations: An October TCP Christmas Celebration! An October TCP Christmas Celebration! Have I got a big day for you! 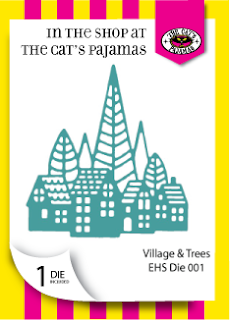 First up, we’ll kick it all off with some really fun Sneak Peeks from The Cat’s Pajamas! Today is my day to show off the stamp sets and dies we’re releasing next week. There are three new stamps sets and four new dies, and a fab one that will be free with purchase! You can win just by commenting on today’s post. A $10 Gift Card to the TCP Store is up for grabs! I have 5 cards to show off with the October New Release Items! Starting with our favourite poochie scootering through the neighbourhood, with his Christmas packages! 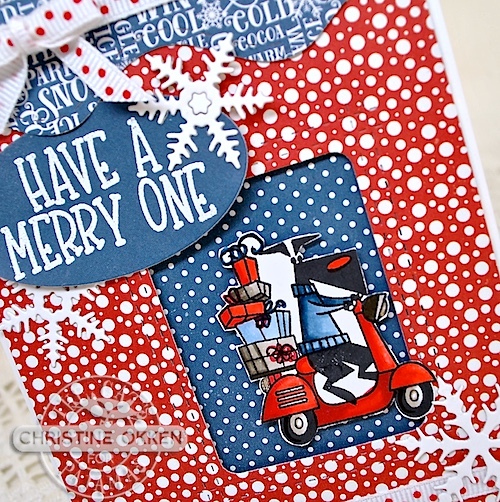 This set is called North Pole or Bust, and it includes Poochie, Sprinkles and the Penguins! I thought it would be fun to make it look like he’s driving in a snow storm, so there’s lots of patterned paper and swirly snow action. I inset the frame using TCP’s fun Balloon Frame CutUps Die so that Poochie could sit inside the snowstorm. I’ve accented with brand new snowflake dies we’re releasing this month. I think they are the perfect size and variation for card making, and I finished it off with some fun polka-dot ribbon. Card two is out of this world! 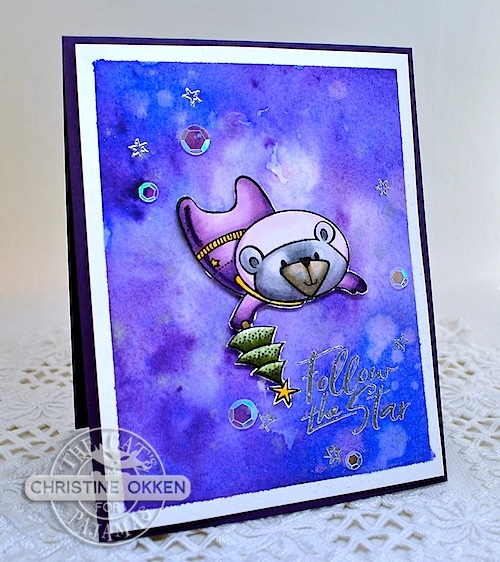 You will adore these space bears from the new Cosmic Christmas set! They are just SO cute! I combined some Copic Colouring of the bear with a watercoloured galaxy sky for the background. I added some silver embossed stars in the background, new hole-less sequins from the TCP Store, and the gorgeous sentiment from this set. It’s Gnome for the Holidays! You’ll find an adorable quartet of Christmassy gnomes ready to celebrate the season. I coloured this guy with Copics, trimmed him out, placed him on a Square Stamp Postage CutUps Die from TCP, and then accented with the snowflakes from this release. I am really loving them! An embossed background and some twine finish it off. Next up is the beautiful Village and Trees die that will be free with qualifying purchase this month. It is really lovely! The perfect combination of detail for a die! I decided to do a wintery scene combining the die and TCP’s Hills and Dales CutUps Die to give it the feel of a mountain village. All done in whites, with vellum over the background designer paper and sequins to accent like stars. Lastly, we have my version of Aurora Borealis, or Northern Lights. 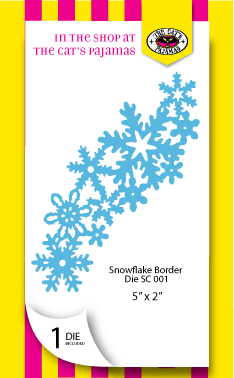 This card combines a gorgeous new Spray of Snowflakes which I added shimmery glitter to, overtop of a watercoloured background to look like how the lights dance in the sky over the winter in our north. Because we live in a really large city, I often have to go into the country to see them, but when we do, wow are they spectacular! I’ve added a previously released sentiment CutUps Die, Season’s Greetings and more of those gorgeous new iridescent hole-less sequins being released this month. 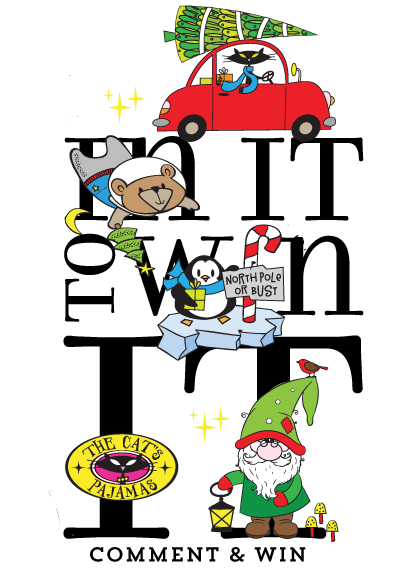 Now, are you In It To Win It? You could earn a $10 Gift Code to the TCP Store, just for commenting on today’s post! All these new goodies will be available next Tuesday the 30th. Check back to the TCP blog every day this week to find out the new featured designer! 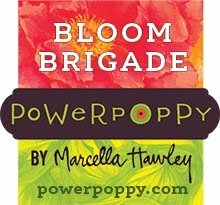 Back later today with new Power Poppy! These are all beautiful - love the explosions of color plus that sweet serene scene. 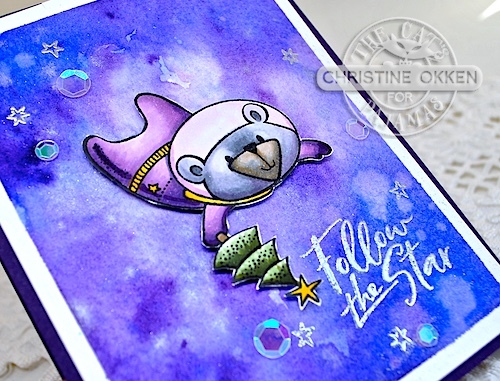 beautiful and gorgeous cards Christine and fab backgrounds you have made. Gorgeous cards-- so clever and creative! Fabulous cards. 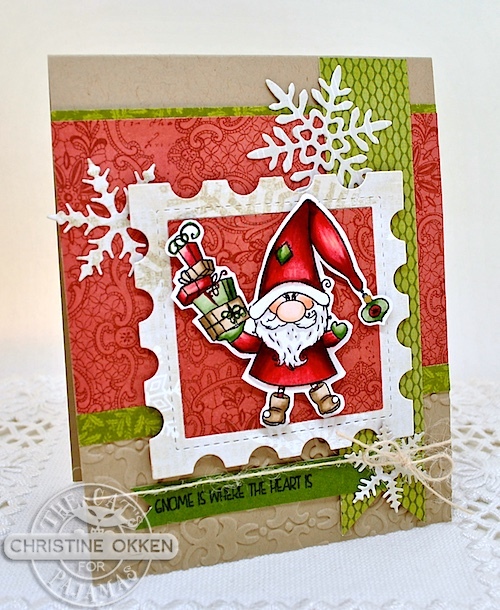 Love the colors, patterns, stamps and dies you used. All of these cards are so cute, I can't make up my mind which is my favorite, but I am really liking the little gnome. These cards are so creative. I love thermal! Gosh, you have been busy, Christine! 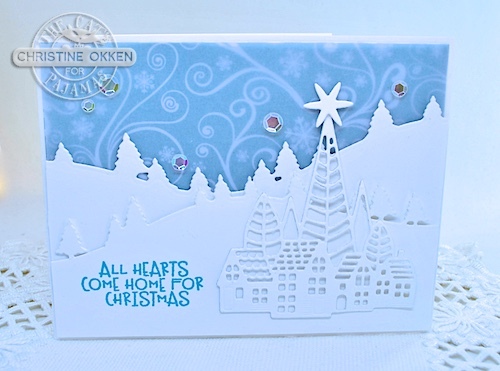 Five cards in one post and all beautifully designed and fabulous! The gnome is especially darling, but I also love the Cosmic Christmas card. Your coloring on that is out of this world! These are just gorgeous! So festive and fun! Awesome cards, love the dog on the scooter. Oh my word, Christine! These are all so gorgeous! 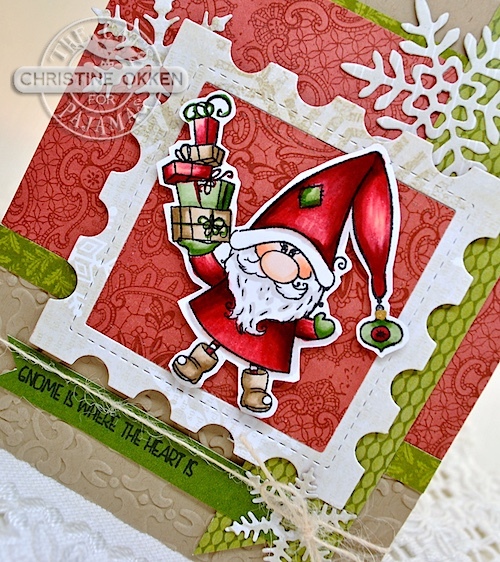 That santa gnome totally stole my heart with the on-point coloring and beautiful layout, though. Beautiful work! Beautiful cards, I love them. and the Village and Trees die! So many amazing cards using the new release! I am loving to see many of our familiar friends back (Sprinkle, Poochie and the penguins). I love your wonderful backgrounds and use of the TCP dies. Hard to choose a favourite! I love both the watercolor backgrounds, especially the aurora one, and the village scene is a fabulous die but I think the gnome one has to be my top pick. Especially with the stamp frame die...I need to use mine more and appreciate the reminder. So many awesome cards! Love Poochie, and happy to see that he and Sprinkle are in a new set! Awesome effect for your Cosmic Christmas card! Adorable gnome, and a beautiful winter scene to show off the Village and Trees die! It looks awesome with the Hills and Dales die set! 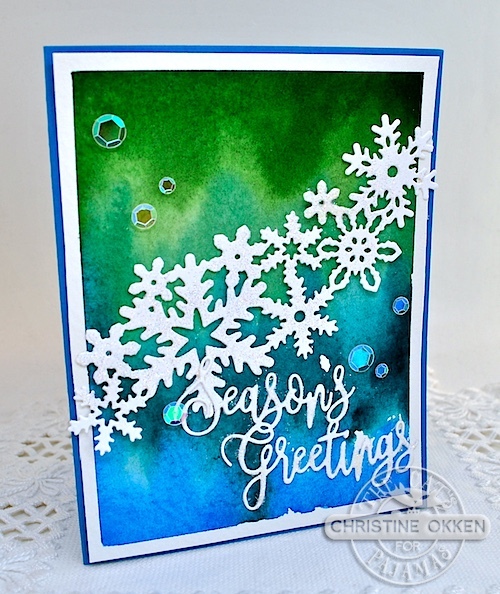 Love that gorgeous Spray of Snowflakes card too... fabulous northern lights look and colors! I love the gnomes! They are so cute! All of your cards are. Thank you for sharing them! Fantastic cards! So festive, creative and beautiful. Love your layers of patterned papers and elements. 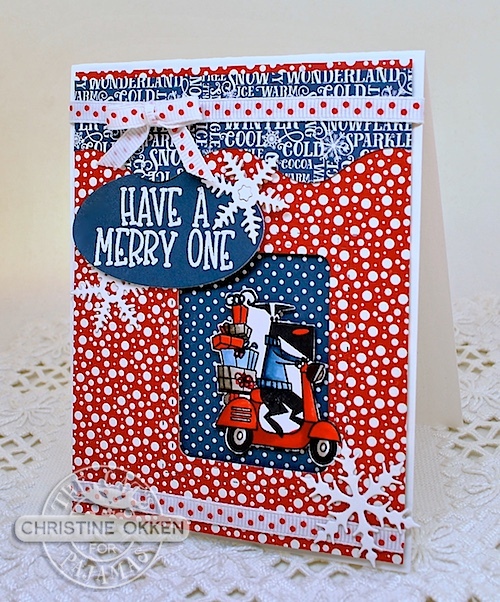 So many fabulous cards, love your designs! I think the gnomes are going to be my favorite new set but they are all wonderful. 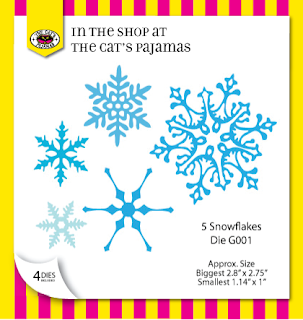 Love the village and snowflake dies. And it's great to see the homeless sequins--so much better without the holes! Such beautiful coloring on your cards. But, I am in LOVE with all the textures and patterns on the Gnome card. Stunning! Christine, I'm kinda late getting here, but so glad I did! Beautiful cards! You were obviously inspired.